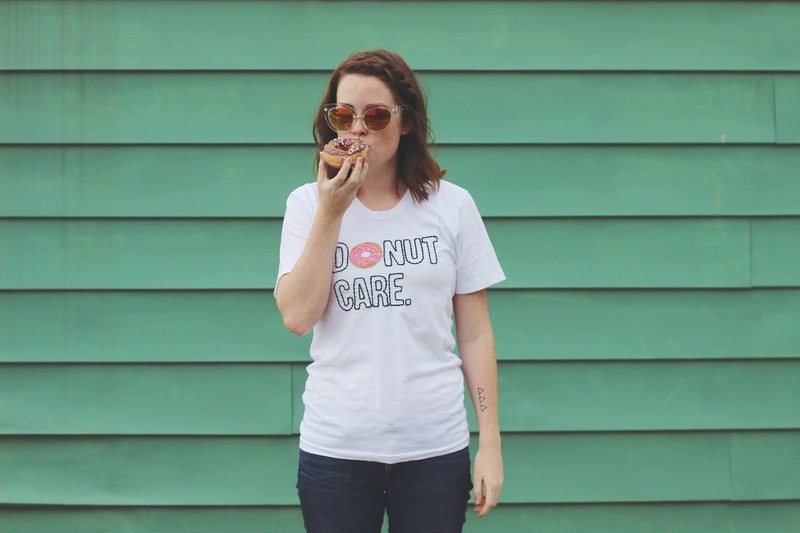 My blog would not be complete without at least one gif of me eating. Everyone who knows me knows I either spend my money on clothes or some good food. 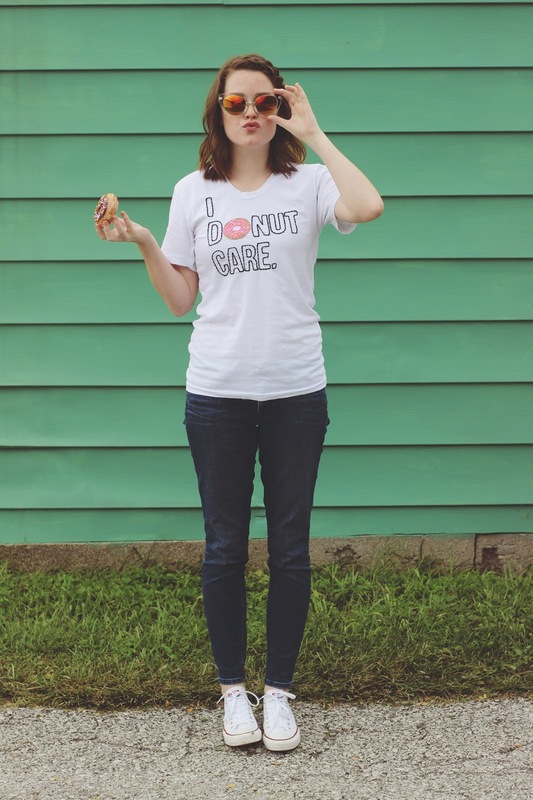 And as the shirt says I Donut Care. My latest obsession with these glasses has snowballed into my obsession with & Apparel. I discovered them a while back while doing what I do best, online shopping. 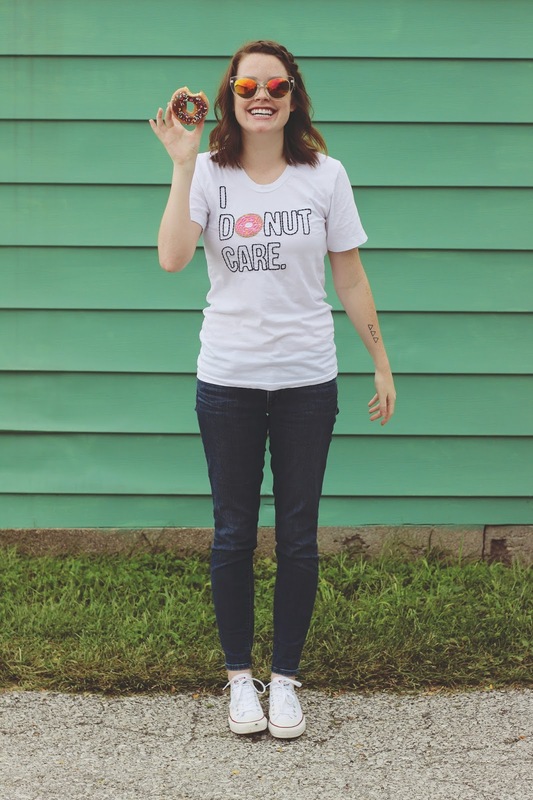 I got a lot of questions about them so I wanted to let you guys in on my secret love affair with & Apparel. Finding those small businesses that have great clothing and accessories is like finding a diamond in the rough. I just recently scheduled an appointment for a tattoo and I cannot wait to get it. It’s long overdue for me to go under the tattoo needle. I currently have three small tattoos, so this one is going to be a big one. Team tattoo all the way.